Community legal centre lawyers ensure that Australia’s most vulnerable are protected by the law and supported to improve their often dire situations. We know because we work with people experiencing entrenched disadvantage everyday, writes Julie Edwards CEO of Jesuit Social Services. Opinion: Community legal centre lawyers ensure that Australia’s most vulnerable are protected by the law and supported to improve their often dire situations. 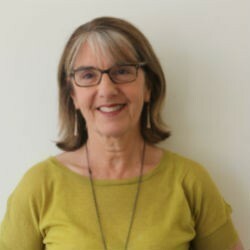 We know because we work with people experiencing entrenched disadvantage everyday, writes Julie Edwards CEO of Jesuit Social Services. This National Law Week, Jesuit Social Services has joined a coalition of organisations from the legal and social services sectors to support the Law Institute of Australia’s Legal Aid Matters campaign. The campaign calls for urgent improvements to legal assistance funding at state and federal levels, including an increase of the Commonwealth’s share of legal aid commission funding to 50 per cent with the states and territories. Jesuit Social Services works with some of the most marginalised members of the community – including people who have had contact with the criminal justice system, people experiencing drug and alcohol problems, people experiencing mental illness and people at risk of or experiencing homelessness – and we know that Commonwealth funding cuts to legal assistance services will have a disastrous effect on the lives of society’s most vulnerable members. Despite a Productivity Commission report recommending that legal aid funding be increased to $200 million, these cuts due to take effect from July 2017 will see $12.1 million lost from community legal centres and $4 million from Aboriginal and Torres Strait Islander legal services. According to the National Association of Community Legal Centres, more than 215,000 people received free legal advice last year and centres had to turn away more than 160,000 people due to a lack of funding and resources. Community legal centres play a hugely important role in assisting people most in need. This is evident in the face that more than 13 per cent of clients identify as Aboriginal or Torres Strait Islander, and that more than 25 per cent of clients have a disability. These legal centres support vulnerable people with pressing issues that affect their everyday living – with family law and domestic violence two of the top three specialist areas that community legal centres assist with. Without access to community legal centres, many vulnerable people will simply have nowhere to go and may further into marginalisation. Our research Dropping off the Edge 2015, released last year with Catholic Social Services Australia, shows that the communities most in need of support provided by community legal centres are those who experience entrenched disadvantage, caught in a web of overlapping problems. Right across the country, residents of the most disadvantaged communities are burdened with disproportionately high levels of unemployment, low family income, low levels of education, housing stress, prison admissions and family violence. more than twice as likely to have a disability or have been unemployed for a lengthy period. The statistics are similarly stark across the country, and can be viewed in full here. By providing accessible and affordable legal advice, community legal centre lawyers ensure that vulnerable people are protected by the law and supported to improve their situation. Without this, people are at risk of cycling through the criminal justice, housing, health and community service systems, restricting people from being able to flourish and become productive members of society. It comes at a significant cost to the taxpayer and ultimately fails to create safer communities. Dropping off the Edge shows us that Australia is already failing many of our communities. Funding cuts to services that work directly with some of the most marginalised members of our community will only further limit opportunities and outcomes for many people across the country.